Hey fellow auto locksmiths, this month we have started an exciting brand new blog feature. We shall be writing a fortnightly column called “Under The Microscope” that tests and reviews the best key programming and vehicle entry tools. 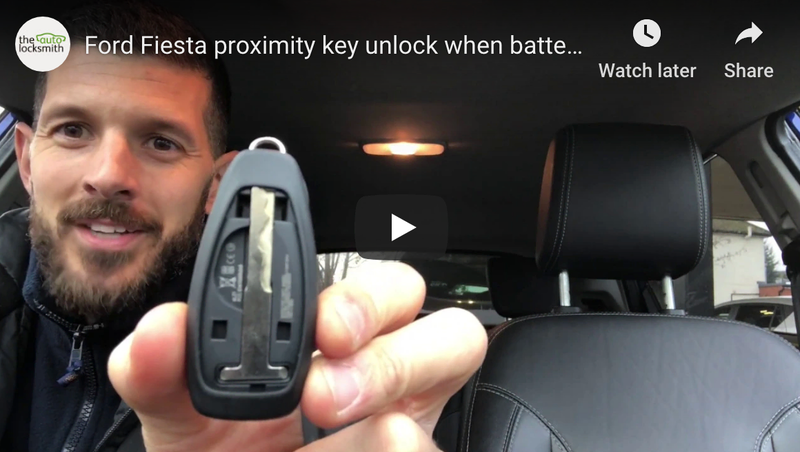 There are dozens of tools available to auto locksmiths and key programmers that all claim to be the best, but which ones work and which ones don’t? We will be reviewing every aspect of the tools from value for money to performance and functionality. We hope to be able to provide a valuable resource for new auto locksmiths and also invoke discussion from the more advanced auto lockies out there. Discussion and comments on these posts are very welcome and would add great value and worth to the topic. I will be reviewing the top three products in each category from my own experience, and finally announce a winner based on comments that I receive here on the blog. To start off here is a quick round-up of the types of keys and immobiliser systems used on Renault cars here in the UK. Renault cars are a complex beast that run several types of immo systems. The Renault immobiliser works to protect the car from being started without a correctly matched key or remote fob. Some of the earlier Renaults are strangely the most complex and difficult to replace keys for. These early Renaults work with an immobiliser integrated into either the BSI / UCH or a separate immo box. Replacement Renault keys can only be programmed to the early systems with either a main dealer machine or Eeprom work. As far as I am aware there is no after market tester appliance that will code these early system 1 type vehicles – if anyone knows of a suitable product please let us know in a blog comment. The products that we will be reviewing are suitable for coding the later Renault models like the Clio 2 (that uses an id46 chip and fob) and the later Renault Magane’s and similar using the remote key “cards”. We can code replacement keys to these Renaults with a diagnostic tester or laptop software through the cars main OBD port. I have put all of these tools under the proverbial microscope for a closer examination. My comments are based on my own experience with the tools and comments I have received from others in the industry. The AD has consistently been a solid tool for key programming and should be an integral part of every auto locksmiths kit. This review is focusing on the Renault software specifically, rather than the machine itself (which I shall be covering in a future article examining the best ‘all round’ key programmer). The full Renault package comprises of 3 software packs. ADS104 is the basic Renault key coding software and is required as base software before any other advanced software can be added. ADS161 is the Renault pin code reading software. ADS180 is the updated Renault software for programming Renault keys on 2011 > vehicles. CLIO II PHASE 2, CLIO III ESPACE IV PHASE 1, ESPACE IV PHASE 2, KANGOO PHASE 2, LAGUNA II PHASE 1, LAGUNA II PHASE 2, LAGUNA III PHASE 1, MASTER PHASE 2, MEGANE II, MEGANE II PHASE 2, MODUS, VEL SATIS PHASE 1, VEL SATIS PHASE 2, SCENIC II, TRAFIC PHASE 2. The application list is strong and covers everything you would expect from a Renault key coding package. At just £450 for the basic starter software it’s a very affordable solution for locksmiths who program keys with the AD100. This was pretty much all that was required to make and code a replacement key for the common Renaults like the Renault Clio Phase 2. However with the stringent immobiliser code policy recently adopted by the Renault main dealers, programming a Renault key with just the basic software is near on impossible, unless the customer has previously obtained the 12 digit security code. Some dealers are charging as much as £50 for the immobiliser code and will only issue them to the vehicle owner with proof of ID and log book details. This pretty much makes the additional pin code reading software a must for anyone using the AD100. This adds an extra £450 onto the package and bumps the price up by a hefty amount. My experience with the pin code extraction software is not great, it will usually extract several possible codes. It can be quite time consuming if you do not get the correct code on the first attempt. On the odd occasion I have actually walked away from a job unsuccessful with none of the codes being correct. A few years back when alternative options were few and far between this was acceptable and the best product for the price, but other products have clearly excelled in this area. To program a Renault key with the AD100 you would first need to extract the security code, and then go back in and use the code to program the key. I originally worked with the MVP and would find these jobs to be very expensive, requiring 2 codes! Support for the AD100 Renault software is generally provided by Hickleys, and is without doubt second to none! The guys at Hickleys are always nothing but professional and friendly, and offer first class customer service to assist new and experienced key coders alike. True Code is an OBD based software programmer that runs straight from a laptop and operates with a single cable. The cable plugs into the Renault OBD connector and is able to extract pin codes and program replacement Renault keys at the push of a button. The software interface is very simple and an absolute doddle to use. Onscreen instructions walk you through each step and make the whole key coding process a cinch. In addition to its simplicity the speed of key programming totally blew me away. A new Renault Megane key card can be programmed in less than one minute. The software will extract the pin code required for programming the key and then supply an option to either program the key manually or automatically. If automatic is selected there is no requirement to enter a code – True Code simply inserts the code that it has extracted and seamlessly codes the key. This is all achieved at the push of one button and at just £445 is an absolute bargain! Support for True Code is supplied from Chris at Keyprogrammers and is of a level that matches the performance of the tool. I received friendly help from Keyprogrammers with the installation of the software and have found they always reply to emails and are happy to advise over the phone. The model coverage is comparable to the AD100 although two upgrades are required for the full up to date software. The Abrites Renault Commander is produced by Abritus 72, who are often described as a world leader in the development of vehicle equipment and diagnostic software. The Renault Commander is a truly amazing piece of kit, although its price tag unfortunately puts it out of reach for many. Abrites tools are unquestionably at the top of the game and offer dealer level functionality in an after market tool. Abrites Commanders work in conjunction with the AVDI interface, which is the main programming interface that is also used with other vehicle manufacturer commanders. The standard Renault coding software with the AVDI will set you back around £2000. Whilst this is not the cheapest way to program Renault keys, some say its the best. The coverage list for Renault key coding is slightly more advanced than the other two products and is continually being developed. The tool functions in a similar way to True Code in that you are not required to already have the security immobiliser code. The software will extract the pin code on connection to the OBD and seamlessly code the key / card. Abrites Renault Commander offers more than just key coding, and is perhaps better suited to advanced locksmiths and auto electricians that offer vehicle diagnostics in addition to key coding. The tool provides access to airbag crash data, actuator testing, control unit live data and for an extra cost the Commanders functionality can be upgraded to perform odometer correction. AD100 The AD100 is a perfectly fine tool for new auto locksmiths and key coders. It offers a high level of model coverage at a reasonable price. The difficulties with pin extraction can make coding new Renault keys a timely process. Abrites The AVDI Renault Commander from Abrites is without doubt a top quality tool that offers a high level of functionality. The model coverage is fantastic and as this continues to grow could soon see this become a market leader. The high cost is the only factor that really prevents this from taken the crown. True Code True Code just has to be the winner. The interface is unfussy and extremely simple to use. A very reasonably priced tool with a fantastic level of customer service. If only all key coding was this good! NB: All comments and star ratings are purely based on my own opinion and experience with the tools. All three tools reviewed here are highly recommended for programming a replacement Renault key. As always there are unique pros and cons to every tool, so I would recommend that you take the time to read more about each tool on the manufacturer website and most importantly, speak to people that are using the tools to see which is best suited to you. Thanks for reading this article, I had great fun researching and writing it and look forward to starting with the next “Under The Microscope” which will be published on Friday March 15th, so be sure to check back then. In the meantime it would be fantastic to get some comments from you guys out there that are already using these tools. Please share any experiences you have with the tools by adding a comment below. Take our poll now – help us crown the best tool for programming replacement Renault keys, as voted by the industry. Ok guys the poll is now closed and the votes are in. The winner of our very first ‘Under the Microscope’ is True Code. It’s not surprising that with over 60% of the votes True Code have been awarded Best Renault Key programmer 2013 – as voted for by you – auto locksmiths and key programmers. In my experience, Truecode is the best no fuss solution for programming all but the very earliest Renault keys. The Automatic PIN Code reading is 100% every time! I wouldn’t go past Truecode for Renault. Excellent customer service from Chris too! Hi Simon thanks for the comment. Yeah it’s a shame there is nothing solid for early Renaults, but these products sure do simplify making new keys for the later models. I’m new to autolocksmithing and found this article extremely useful and look forward to reading further articles on other Autolocksmith tools. Think I will be using true code for making replacement Renault keys. Great article mate, I will certainly look forward to future discussions and reviews, giving my pennies worth!!! I have always used the AD100/MVP for Renault key programming, which if i’m honest, in the earlier days was a bit temperamental and costly. Although recently the code retrieval and programming has been 100%…. Before buying new products and software I always wait until others have tried and tested it rather than being the guinea pig, and so far I have heard nothing negative in relation to True Code….. It gets my vote and i’ll be calling Chris soon to place my order!!! We have been using all the three most popular tools for sometime now. AD100/MVP, Truecode and AVDI. AD100 Pro/MVP Pro was one of the first to release Renault pincode reading and coding but became so unreliable we lost confidence and bought other equipment. Though we have not tested again within the last few months due to the confidence lost we do not know if it has improved. The Truecode is a fantastic UK based tool that we felt so confident with it we decided to be a distributor within our wholesale division of our company. That is how much we liked it. Easy to use and has been 100% except a few software bugs that do get ironed out rapidly. The AVDI Abritas is another amazing machine. Though it can be pricey the coverage is higher and with the capabilities of diagnosis of faults is a must. Great article and we hope to see more. We find it very interesting when our customers take the time do this kind of thing. Dan thanks for commenting and adding to the article. Fair point regarding the AD100, it’s hard to return to a tool when despite improvements, past experiences were not great. It would be good to get some feedback from anyone using the AD100 since the recent improvements. Thanks again for the comments and hope to be able to get you involved in future article discussions. Hi Iain thanks for the input. Whats the pin code extraction on the AD Pro like lately? Does this now bypass the pin code or do you still need to extract it first? Glad you liked the article, cheers. Strange that you mention the Tech Support quality for AD Pro and Truecode, but not Abritus. How is that a fair review, when you leave out such an important item ? Robert thanks for the comment, the review is my “subjective review” from my own personal experiences and what I have heard from others using the tools. I have only been able to feedback on what I know, and what I have been told. The Under The Microscope articles are by no means a strict quantitative evaluation with set criteria, more of an open discussion in which I have introduced a topic. The open comments section and the poll provided locksmiths and key programmers an opportunity to vote for their favourite product, and from the comments we received this was True Code. If you have any experiences with regards to support for Abrites you are very welcome to share them here. I hope you enjoyed the article and will come back to read more. A very useful blog, I look forward to reading more of the same. Thank you very much, glad you enjoyed the article. The problem with reviews like this is that they are only current at the time of writing, with the speed at which vehicles/software move today, I know for a fact that the review is based on much older software for the AD100 Pro which is now one of the best on the market in my opinion. Tech Support for the Abritus is very much like their manual. A compromise. Of course, a review is never valid forever, especially at the rate of technological advancements. The Ford Transit was voted van of the year 2007, no one said it would be van of the year for eternity. Thanks again for adding to the review, hopefully you will come back to add to our future articles. Nice article. I have to agree with your conclusion, truecode is fantastic. I’ve used the AD100 recently and whilst it did function I prefer the truecode and use it all the time. Can’t comment on support though as luckily I haven’t needed it! Have heard great things about the AVDI but as an auto electrician my money was spent on truecode for coding and CAN Clip for diagnostics and I still had change from £600! The Ad pro machines latest software has been spot on. There was problems with encrypted pins in the past. But I’ve definantly noticed a massive improvement. Very quick & easy to use. Hi Pat welcome to our blog, thanks for commenting on your experience. That’s interesting, do you have the latest version of the AD100 Renault software that auto enters the pin code? Yes works on Beta and enters the code for you.Handy when it works. I have the true code tool works good but it will only program one key and not two or more. Eny advise. Hi Warren never come across this, it should program multiple keys fine. Sounds like a software bug. I know KeyProgrammers have just released an updated version of the software, ill see if I can get Chris to comment and give you some advice. We can’t find you on our customer database, and we also don’t have a single customer named Warren. The bug that you mention does not affect genuine interfaces. Kindly let us know what your interface number is, your full name and who your distributor was please. We can then ascertain if you indeed do have a genuine interface, or an inferior chinese clone that can’t be updated. We await your reply. Hi Warren, I have never had a problem programming multiple keys with Truecode. As Chris indicated, I wonder if you have been sold a non-genuine interface/software?